Taxing parking, the way Pittsburgh does, can make downtowns livelier and encourage a healthier mix of transportation options. Of course, implementing these policies can get tricky. A recent report from the Victoria Transport Policy Institute [PDF] delves into the issue and sorts out the best way to go about it. The long and short of it is that it’s politically easiest to tax parking on dedicated lots, rather than to do a “per space” tax on all parking, but this way of taxing parking has problems. We might be tempted, for instance, to tax the lots in downtown Providence but not tax the lot attached to, say, the Whole Foods, because our instinctive thought would be that though we don’t like a surface lot next to a grocery store, it’s much better than a bare lot serving nothing but parking alone. The problem comes with the fact that the lot parking attached to businesses is free to customers and employees. Of course, it’s not actually free. It costs money which is passed into lost wages or higher prices. But to the worker or consumer, it appears free. When the price of commercial parking, i.e., the lots downtown that charge per hour, becomes more expensive without putting an equal burden on these other parking lots, it gives a stronger incentive for businesses to include free parking into their design as a benefit to customers or workers. This is not what we want. So, when we set a parking tax, it should be per parking spot. This is a fair tax, because businesses are free to choose whether the cost of parking is worth it to them in a market, or if they’d like to trade some of that cost away for greater infill development. As this study shows, it’s hard to make this argument politically, because on the face of things most people assume that they’ve already paid their fair share for parking, and that a tax on it is some kind of special arm-twisting by a big government conspiracy. But in reality, what’s happening is that large frontage businesses with lots of parking are taking up a great deal more in resources from the public–everything from extensions of plumbing, road wear and infrastructure, lost tax revenue from potential development, and so on. In the extreme cases, mostly outside of Providence, we have instances of bus lines like the 54 or 66 being required to go off-route to take people into parking lots and to the door at a Walmart or Stop-and-Shop, and this also is a public drain, taking valuable fuel, vehicle wear, and paid driver time away from running a more efficient route. Elsewhere on the Network today: People for Bikes considers the implications of surveys in DC and Portland gauging black Americans’ attitudes about biking. In anticipation of the opening of the Silver Line on Monday, Greater Greater Washington looks at how plans for the DC Metro have evolved since the late 1960s. And Market Urbanism discusses how to add an element of glamor to a streetscape. 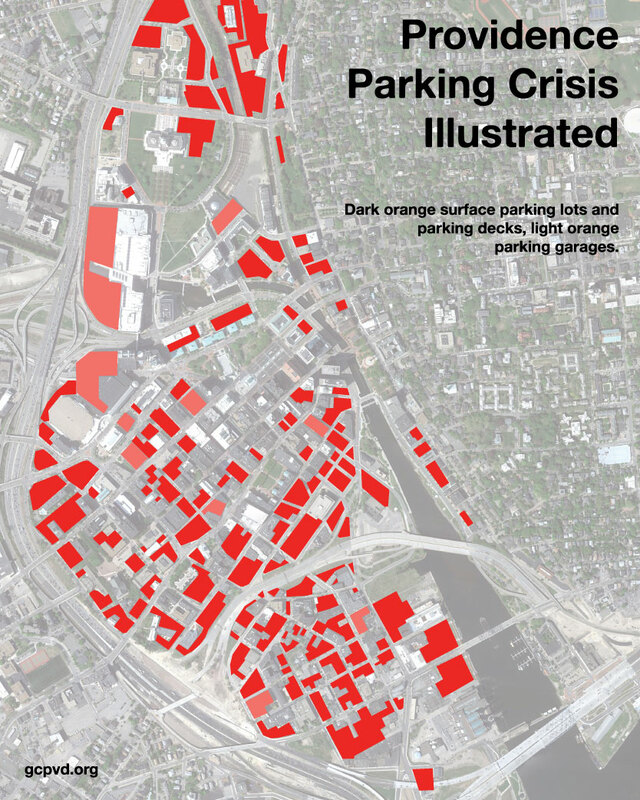 Did Progressive Parking Policies Propel Pittsburgh Past Detroit?